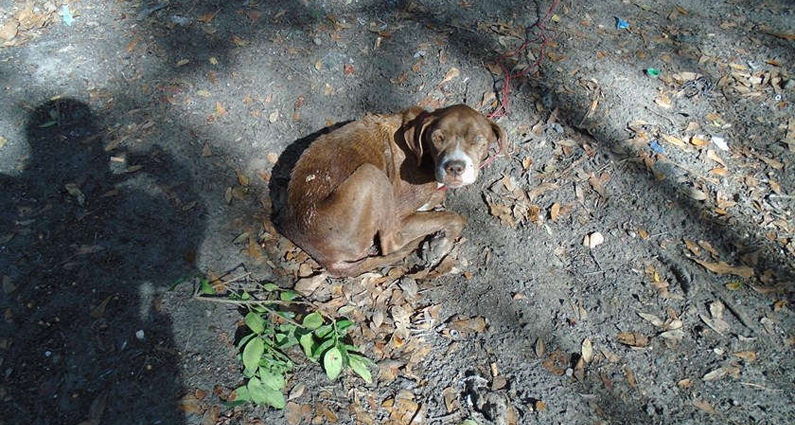 In May 2016, the Hernando County Commission approved a strong anti-tethering ordinance that prohibits the unsupervised, unattended outdoor chaining of dogs. Last week the ordinance helped to save the lives of several dogs. On January 4, an animal control officer spotted dogs, including the malnourished dog in the above photo, tied to a tree at a home in Garden Grove, in violation of the county ordinance. The officer investigated and discovered numerous dogs suffering without food or water or proper shelter. In total, 11 dogs were seized and transported to Hernando County Animal Services for medical care. Three people living at the home were arrested and charged with animal cruelty. A growing number of cities and counties in Florida have enacted ordinances banning or restricting the cruel tethering/chaining of dogs, including Broward, Collier, Escambia, Hillsborough, Manatee, Marion, Miami-Dade, Okaloosa, Orange, Palm Beach, Pasco, Pinellas, St. Lucie, Sarasota and Seminole Counties. If your city or county does not have an ordinance addressing the cruel chaining of dogs, contact your local elected officials and urge them to consider adding this important protection for dogs. Contact ARFF for help! 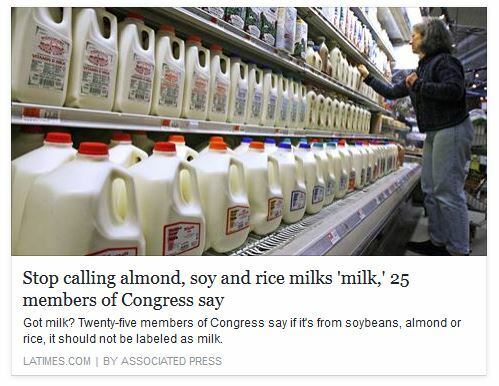 Soy “milk” under attack, are peanut “butter” and “cheese” cloth next? The letter complains that “dairy farmers are facing a serious financial crisis,” while at the same time “there has been tremendous growth in the sale of plant-based” milks. It’s a silly argument. A growing number of Floridians will enjoy liquid taken from beans, nuts and seeds regardless if it’s called “milk” or “drink” or something else. And consumers who are concerned about animal welfare, the environment or their own health will continue to reject dairy. Visit ARFF’s website to learn more about the dairy industry.